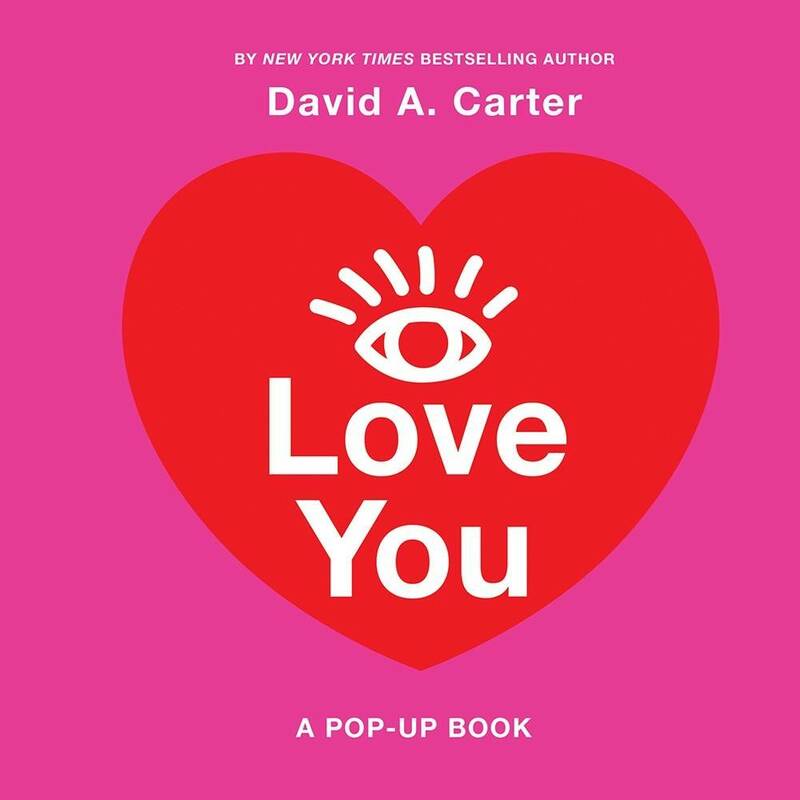 David A. Carter has created an extremely imaginative pop-up dedicated to love. The book has seven spreads, each with a verse and a pop-up of different geometrical and abstract forms. Scattered among the pop-ups are hearts, some tiny and some large. There are hearts dangling from strings, hearts hidden in a forest, and hearts captured by the colors of the rainbow. Readers will be amazed by the final pop-up—an explosion of red foil hearts! The cover, too, sports red foil. This tribute to love is sure to please sweethearts, young and old, throughout the years.